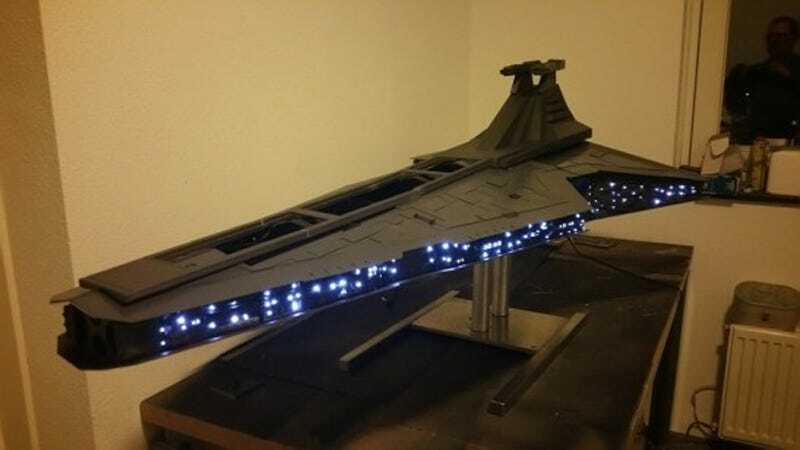 What looks like a Venator-class Star Destroyer replica at first is in fact an incredibly well-made case for a gaming PC. We have to take a closer look to see all the hardware, hidden by modder Sander van der Velden, functioning as the engines and other parts of the massive ship. The frame was made using aluminium cuts, while everything else went through a 3D printer. Here are some pics of the final product, but you can find a detailed build log over here with tons of pics. It’s truly incredible.